This article gives information regarding the various components which effect the investment size of the hosted website. Any particular web site have to be designed for accomplishing some operational business objectives. Time to compose any strategic plan depends on the complexity and number of each objective. Objectives vary based on complexity and planning time. When budgets are low ensure to perform cost analysis for each objective and keep those in function which yield highest return in short time. Once all the marketing and business objectives are well defined advance planning is required for setting targets and bench marks. In this way one can track their site’s performance meeting each objective against targets every month and determine whether the investment is producing any return or not. More planning is needed to determine how the defined objectives will be accomplished by web technology. This forms an interface functionality design and database along with copy writing and content creation. Time is needed for design, testing the performance errors in web site, development and transferring to the hosting environment. Hence it can be said the that the investment size depends on the time of design and development, determined by the strategic plan which in turn depends on the marketing and business objectives. The costs of hosting depends on the resources used by the web server and the technology to develop the web sites. Dedicated web hosting is opted if she/ he want to host with multiple web servers, sell various products online, use SSL (security socket layer), capture and exchange large amounts of data and integrate with offline billing and inventory systems. While the static web site does not require a dedicated web server and remain in a shared environment. 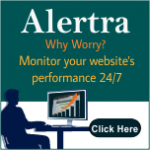 Costs to maintain web site varies accordingly. One of the option is to investigate utilities of content management. Numerous ways helps in driving traffic to web site and each have different costs. Directories and search engines are the only methods that have to be addressed before the site is developed. Web site should be optimized with targeted, specific and not-competitive key words.